Announced yesterday that David Hurse Stadium will be receiving a major face-lift for this upcoming season as they install a new turf field. This is big news for a small public high school (800 students) that doesn't have to share the field with anyone else (currently no soccer team at BHS). why are they putting the soccer lines on it. plan on renting it out or adding soccer? The school could potentially add soccer in the future I suppose. Impressive by the powers that be, as it shows a willingness and commitment to excel and raise the standard for their county and athletes. When was the last time that a high school has built a new stadium, or done something like Bradford replacing the field? The school has to be older than or equal to 30 years. The school has been desperate for upgrades for years. If you've ever been to Bradford, you know that the baseball team and football team share the same muddy field. This is a power move that will change the landscape of athletics in Bradford. The baseball team is currently getting a new field at another spot on campus. 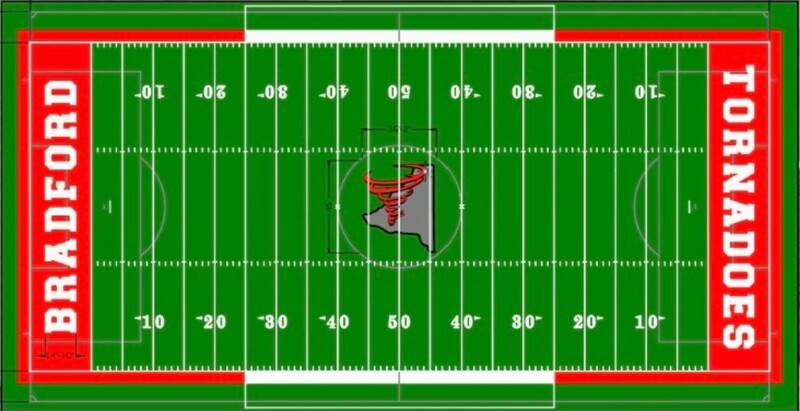 I am always surprised that school districts that have multiple teams using the same stadium and multiple sports from multiple using the same stadium do not invest in the FieldTurf stuff. Gainesville and Tallahassee come to mind.